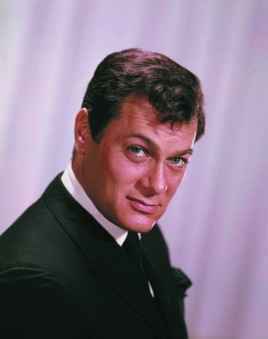 Tony Curtis, the dashingly handsome film star of the 1950s and '60s best remembered for his hilarious turn in drag in Billy Wilder's classic comedy "Some Like It Hot" and dramatic roles in "The Defiant Ones" and "Sweet Smell of Success," died Wednesday night. He was 85. Curtis died at his Henderson, Nev., home, daughter Jamie Lee Curtis told Reuters. "My father leaves behind a legacy of great performances in movies and in his paintings and assemblages," the actress said in a statement Thursday morning. "He leaves behind children and their families who loved him and respected him and a wife and in-laws who were devoted to him. He also leaves behind fans all over the world. He will be greatly missed." One of Hollywood's most durable actors, Curtis appeared in more than 100 movies and was nominated for a best-actor Oscar for "The Defiant Ones," the 1958 convict-escape film in which he was chained to his costar Sidney Poitier.